Members of Congress hoisted the flags to show their support for International Transgender Day of Visibility. 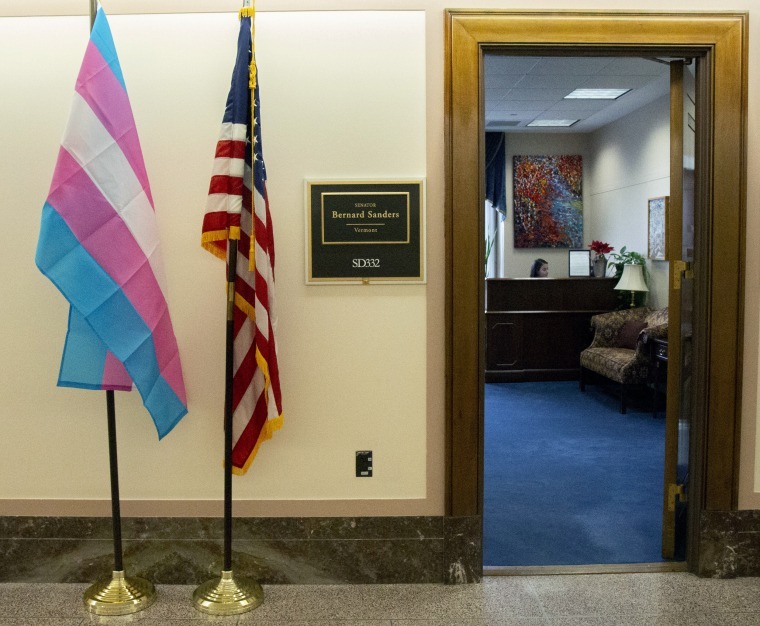 Pink, blue and white transgender pride flags are dotting the halls of Congress this week, where members are displaying them ahead of International Transgender Day of Visibility on Sunday. Flags were spotted outside the offices of Sen. Bernie Sanders, I-Vt., House Speaker Nancy Pelosi, D-Calif., Rep. Ayanna Pressley, D-Mass., Rep. Alexandria Ocasio-Cortez, D-N.Y., and Rep. Jennifer Wexton, D-Va., among others. "Discrimination has no place in our society," Sanders said in a statement shared with NBC News. "I am proud to display this flag as a symbol of my support for transgender people across the country. We must stand with transgender people in all of our communities." The transgender pride flags were provided to members of Congress by the National Center for Transgender Equality. "Transgender people are in every town, every city, and every district. We are woven into the fabric of American society and we are never going anywhere," Gillian Branstetter, a spokesperson for NCTE, said in an email. "We wanted to make it clear to every member of Congress that we are their constituents and our rights can no longer be ignored"
According to Branstetter, International Transgender Day of Visibility "is most often credited to Michigan advocate Rachel Crandall, who launched the first commemoration in 2009." 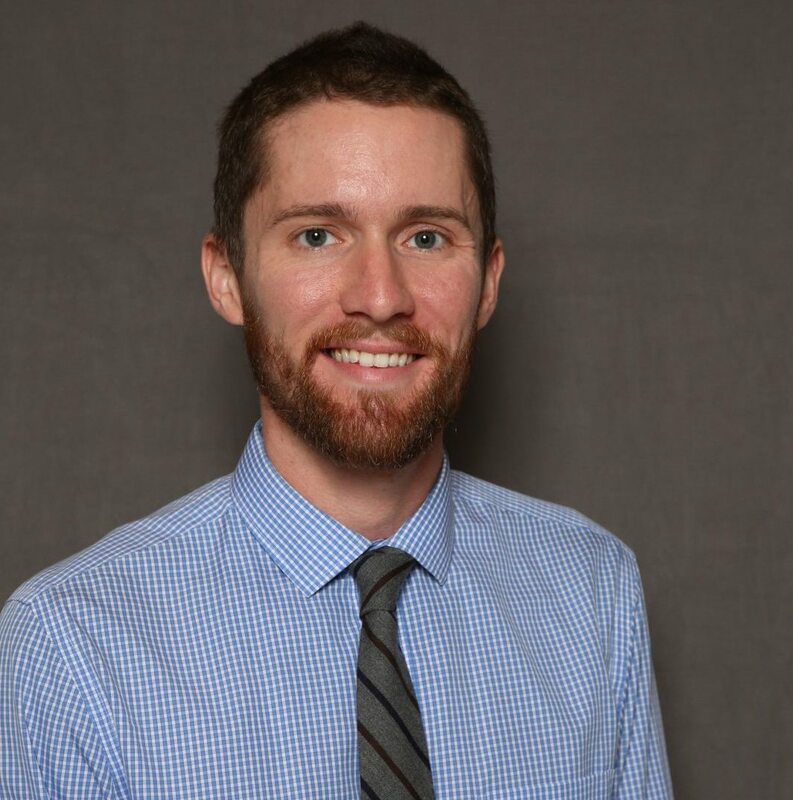 "Transgender people are often told to hide ourselves from public life, whether it's before we leave the closet or after we come out and find ourselves judged for failing to conform to strict gender norms," Branstetter said. "But our visibility is also our greatest strength. By living our lives without fear or shame, we can change our workplaces, our communities, and even the halls of power." “In the face of unprecedented attacks against the trans community, Speaker Pelosi is proud to display the trans flag to send a strong message to transgender Americans that they are seen, heard, and affirmed and that House Democrats remain committed to ending discrimination and securing equality for all,” Taylor Griffin, spokesperson for Pelosi, said. Tim Fitzsimons reports on LGBTQ news for NBC Out.